Remember too that this year has seen just one EF lens launched, and that was the 200-400, which we’ve been waiting for so long that it almost doesn’t count. Mostly at f/11, all focused using just the distance marks or at infinity. 18th Thanks for all the lens update snippets we’ve been sent – the word seems to being put about that it’s lenses for next year. I note similar info at CR, with a range of lenses. The only specific info we’ve seen, related to replacements and updates for tilt shift lenses (45mm and 90mm), stating that they were being delayed ‘for a new camera’ and that there was another ‘special’ lens with movements that would be announced at the same time. See the G+ links below for more sample images and discussion about how it performs. I’ve a few test shots with the Samyang 14mm Very sharp, virtually no CA, but a complex distortion that makes it problematic for architecture/interiors without some hefty software correction. 31st It seems that we are starting to see a bit of a resurgence in the third party lens market. Canon is to start selling the 5D3 + 24-70/4L IS kit in the US from next month. Concentrates on what the lens does (and why) more than a detailed numerical analysis of performance. It uses what looks like a fibre optic plate to get round the curvature of the focal plane. 13th We’ve been hearing of a replacement for the (1998) 35/1.4L ever since the 24/1.4 L II came out in 2008. For those prone to spending too much time reading lens reviews and poring over tables an graphs pf measurements, there is a good article [PP] about lens testing and why you you ttake some time to understand what they do and don’t say about using the lens to actually take photos. 12th I hear that my experiences of the reliability of the 17 and 24mm Canon lenses doesn’t relate to their fragility in ‘hire’ situations. I’m just back from a two day (outdoor) job, using both, and I still regard them as superb and solidly built lenses. I guess it says something about the differences between how I handle over £3000 worth of lenses compared to rather too many people who hire them? I’d note that the Samyang 24mm I’ve been testing, is lighter, with plastic parts where the Canon has metal. I guess that rules it out of the rental market or if you are particularly rough with your kit. 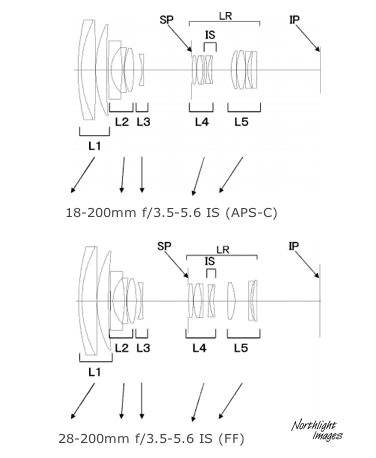 10th Suggestions [CR] that there will be a new ‘L’ 45mm TS-E lens and that the 90 will become a 135mm tilt/shift. I find this odd, since I use the TS-E 17 and 24 regularly and find them remarkably robust and well built. What the lenses could really benefit from is more tilt than 8 degrees and encoders to include tlt and shift data in EXIF data. 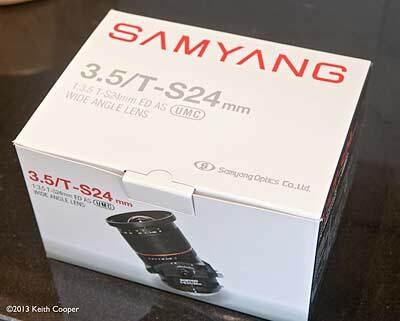 I’m off for a while, but hope to have a detailed review of the Samyang 24mm T/S in a week or two. 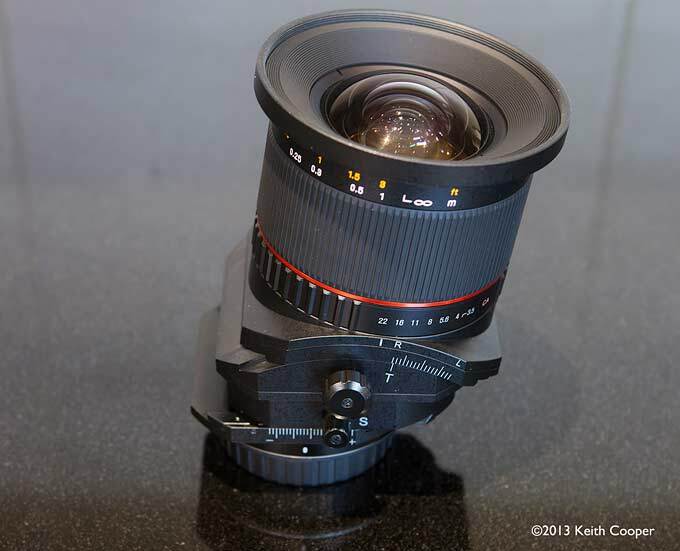 9th Ever felt a need for the ultimate in lens quality at that ever popular 55mm focal length? 1st I often get asked why bother with expensive shift lenses, when software can work so well. I’ve put together some examples showing why they are important in my own work. 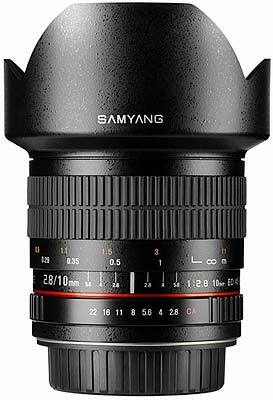 28th A new lens to test… Samyang 24mm tilt/shift lens 3.5/T-S24mm. I’ve been sent this tilt/shift lens for a review, which hopefully I’ll have written in a few weeks. It’s a completely manual lens, so no electronic connection with the camera at all. Not too much of a problem since I use the Canon 24mm and 17mm shift lenses a fair bit. First quick tests suggest that at full shift, it’s a tad sharper in the very far corners than my more expensive Canon TS-E24 mk2 lens. However distortion and vignetting are more noticeable in the new lens, and anywhere away from the far corners, the Canon pips it in contrast and fine detail. I’ll not be writing a detailed technical review of the lens, but much more aimed at how to use it and to get the best from it – please do mail me if you’ve any specific questions? 24th Tokina announce a forthcoming 16-28mm T3.0 Cinema lens for EF and PL Mounts [PB] The PL mount version of the lens should ship in September and EF-mount option in November. 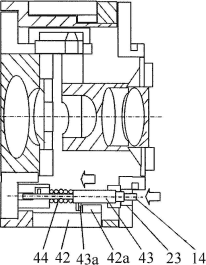 6th A Nikon patent for a medium format lens is spotted (100/2.5) – info on the medium format page. Since the angle is listed for APS-C, I’m assuming that this is for crop sensors only. 27th How much better is the the new STM version of the EF-S 55-250mm lens than the 2011 Mk2 version? 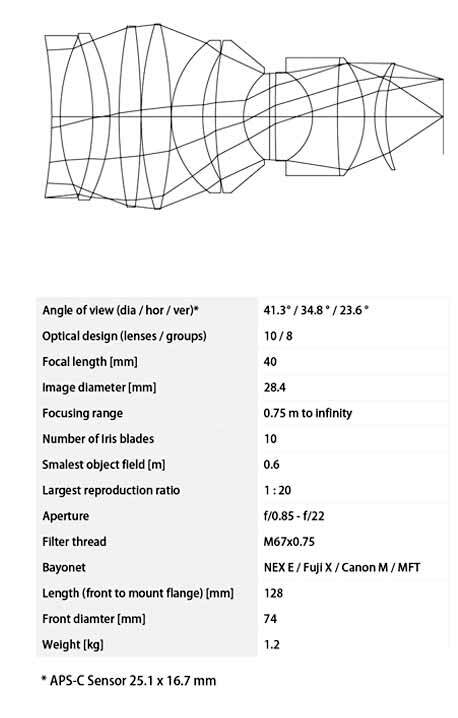 Move your mouse over the image below to see the MTF charts and internal design of the new lens. 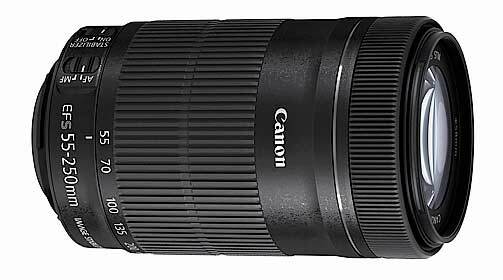 United Kingdom, Republic Of Ireland, 22 August 2013 – Canon today unveils the latest addition to its leading EF lens range – the new EF-S 55-250mm f/4-5.6 IS STM. Designed to be compact, lightweight and versatile, the EF-S 55-250mm f/4-5.6 IS STM provides an incredibly flexible 55–250mm focal range that’s the perfect companion for photographers that want to get closer to their favourite subjects. The new model is the first EF-S telephoto zoom lens to feature Canon’s advanced STM technology, alongside a 3.5-stop optical Image Stabilizer, providing outstanding stills and movie quality throughout the entire zoom range. The EF-S 55-250mm f/4-5.6 IS STM is the ideal lens for photographers looking to extend the reach of their current kit. The additional zoom range it offers allows users to shoot a range of scenes and subject types, from beautiful portraits at 55mm, to distant wildlife at 250mm, with a single compact lens. Canon’s advanced STM technology ensures the EF-S 55-250mm f/4-5.6 IS STM provides high-performance autofocus (AF) when capturing stills, and smooth, near-silent AF in movies with compatible cameras. Offering fluid continuous focus tracking when shooting movies of moving subjects, STM also provides clean and natural focus transitions when focus shifts from one subject to another. Audio on movie footage can also be accurately captured, without the intrusion or distraction of focusing noise from the lens, thanks to the near-silent STM mechanism. The EF-S 55-250mm f/4-5.6 IS STM incorporates a new design, featuring Canon’s industry-leading optical Image Stabilizer technology. The 3.5-stop advantage over non-IS models helps protect against the effects of camera shake – which are more exaggerated when shooting handheld with a telephoto zoom lens – making it easier for photographers to capture crisp and striking images in all conditions. The lens’ new optical design includes 15 elements arranged in 12 groups, with an improved focusing distance of just 0.85m throughout its zoom range. An Electro Magnetic Diaphragm (EMD) with a circular aperture gives photographers fine control over aperture and smooth, blurred backgrounds, while an Ultra-low Dispersion (UD) lens tackles chromatic aberration, ensuring images are as sharp and clear as they appear to the human eye. Canon’s optimised Super Spectra Coating also minimises internal reflections, as well as ghosting and flare. The redesigned lens now incorporates a non-rotating front element, ensuring a consistent effect when a filter is attached to the front of the lens. Weighing just 375g the EF-S 55-250mm f/4-5.6 IS is incredibly compact and lightweight – making it easy to carry around whilst on holiday or at family events. 21st Seems that a new version of the EF-S 55-250 f/3.5-5.6 IS with STM is due tomorrow? 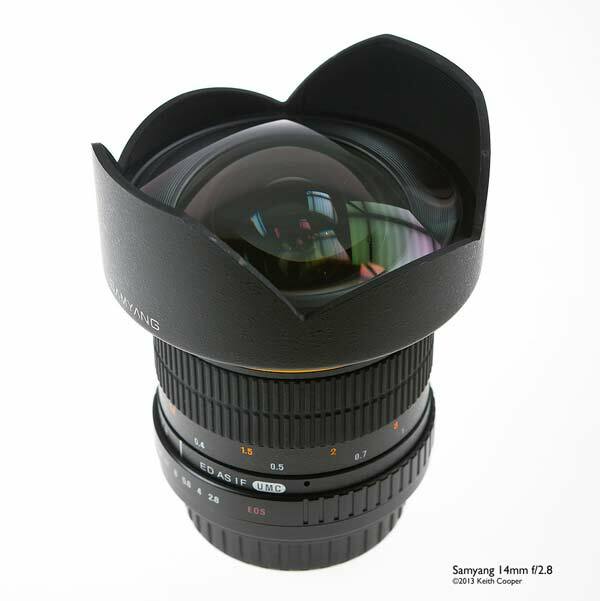 16th It’s thought [CR] that we might see a 24mm f/1.4 DG HSM Art lens from Sigma before too long. A few more degrees of tilt wouldn’t go amiss either. I use the 90 quite a bit for product work, and wrote up some TS-E90 notes a few years ago. “RONKONKOMA, N.Y., – Aug. 1, 2013 – Sigma Corporation of America, a leading researcher, developer, manufacturer and service provider of some of the world’s most impressive lines of lenses, cameras and flashes, today announced a revolutionary new, fee-based service that will enable the company’s Global Vision lens owners to change their lens mounts for use on different camera systems. 11th We’re told (thanks) that replacements/updates for the TS-E90mm and 45mm are not shipping until next year, even if included in any Autumn announcements. 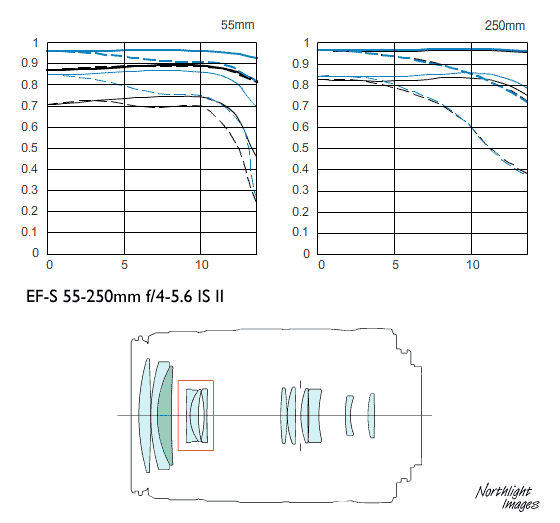 We’re told that there -will- be more EF lenses announced this year, even though much of Canon’s design activity has been around filling out their line of Cine lenses. Yes, we will see a replacement one day… just not sure when. There are also suggestions that the 70-200 2.8L (non IS) has been discontinued, yet it seems that other parts of Canon are supplying refurbished ones. I note that my 2003 vintage 24-70 2.8L was replaced with a brand new one when repaired some time before the new 24-70 appeared. The essence of the patent is the use of glass with anomalous dispersion. United Kingdom, Republic of Ireland, 6 June 2013 – Canon today expands its range of EF-M lenses with the introduction of the new EF-M 11-22mm f/4-5.6 IS STM. Designed for Canon’s Compact System Camera, the EOS M, this is Canon’s first ultra wide-angle EF lens to feature an Optical Image Stabilizer. Offering a versatile wide-angle zoom range, first-class optical performance, and a new retractable design, the EF-M 11-22mm f/4-5.6 IS STM is the perfect addition for EOS M users who wish to capture their passion for landscapes and architecture. Engineered using the latest optical technologies, the EF-M 11-22mm f/4-5.6 IS STM enables users to capture images with incredible levels of detail and quality. Manufactured using Canon’s professional quality standards, the lens uses Super Spectra Coatings designed to minimise ghosting and flare, providing beautiful results with every shot. Images are crisp and clear thanks to Canon’s Optical Image Stabilizer, which works to keep image blur to a minimum by correcting camera shake. A 3-stop shutter speed advantage ensures high quality stills, even when light levels start to fade. Shooting smooth Full HD movies is easy using the advanced Dynamic IS mode which combats more exaggerated forms of camera shake that occur when shooting video on the move. Canon’s near-silent STM technology also ensures focus noise is supressed during movie capture, so the audience can enjoy crystal clear sound to match the visual quality of the footage captured. Incredibly compact and lightweight, the EF-M 11-22mm f/4-5.6 IS STM has been designed to fit easily into the smallest of spaces so it can be carried everywhere. A new retractable lens design – a first for the EF lens range – locked in place by a switch, allows users to retract the lens back into the barrel when not in use. This keeps the body slim and compact, reducing the lens length by 13mm. 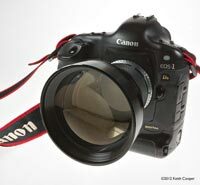 An integrated full time manual focus ring also provides the freedom to make precise adjustments to focus as needed. Designed to complement the EOS M’s chic styling, the EF-M 11-22mm f/4-5.6 IS STM features a graphite silver, metal exterior, while the knurled focus and zoom rings are comfortable in the hand and provide easy operation. 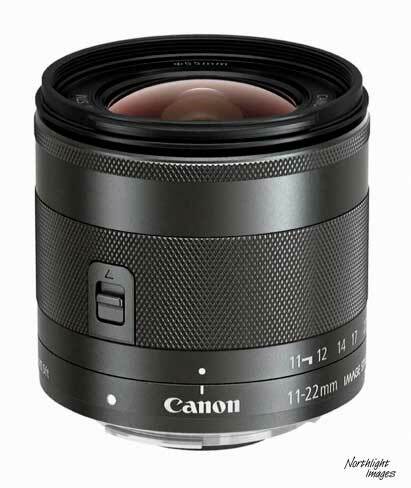 The EF-M 11-22mm f/4-5.6 IS STM will be available from July with an RRP price of £379.99 / €449.99. 28th A replacement for Canon’s less than stellar ultrazoom? Note that an EF version (28-200) is also mentioned. Whilst it deals with displaying helpful info in the viewfinder, for it to work, the lenses would need encoders for tilt/shift/lens rotation movements, to tell the camera what has been adjusted. These are not present on any current T/S lens, although it was suggested to us as something that had been tested, not long after the 17 and 24mm were launched. 2nd Suggestions [CR] that there are replacements in the wild for the TS-E45 and TS-E90, and maybe another T/S lens? Not disimilar to what we heard earlier this year but the two TS-E lenses have been up for replacement for some time. If I get a chance to try one, I’ll certainly see how it compares with the excellent TS-E24/3.5L mk2 from Canon. BTW If you’re new to T/S lenses, I’ve written several articles about what they do, and how to use them. Details on main rumours page. All are retrofocus designs, but really pushing for reduction of large aperture aberrations. A new lens appeared in our ‘expected this year’ inbox, a 19mm f2.8L – the nearest current lens would be the 1992 vintage 20/2.8, which I’d expect to see appear as a EF20mm f/2.8 IS USM, much like the new 24 and 28mm lenses from last year. That said, Canon has 24mm and 14mm L primes, and a really good 19mm would be interesting (but do note the TS-E17, which IMHO, should be included in the L primes list). Canon’s 35/1.4L has been in the ‘update due’ category for quite some time (it’s a 1998 lens). Some new DxOMark tests show just how far it is behind the new Sigma 35/1.4 – much sharper and much cheaper. 14th We’re told [thanks] that the replacements for TS-E45mm and 90mm will be announced later this year along with the long awaited Canon answer to the Nikon 14-24mm. The tilt-shift lenses were mentioned last year with another ‘special’ lens – a super wide zoom would be interesting but not quite what was suggested (the comparison was made to the MP-E65 as a unique lens). 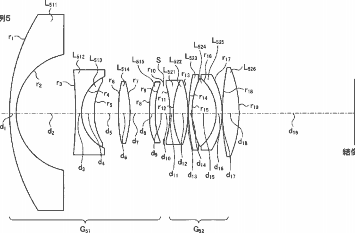 25th New Canon patent at Egami [Google xlt via CR] for wide lenses with fluorite elements. 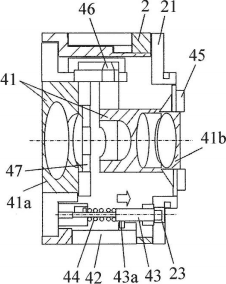 21st New Canon patent at Egami [Google xlt] for adding more electrical contacts to a lens mount – the idea might be for video, where more power can be be needed for handling such big lenses? 17th In the US there are a number of lenses (and flashes) in an ‘instant rebate’ program that runs to the end of March. I note that the TSE 45 and 90 are both in the list – these are regulars in our ‘due for update’ list. Sigma is going to release five new lenses this spring. Three will be previewed at the CP+ Camera and Imaging Show in Yokohama, Japan from 31 Jan-2 Feb, and two more at the Asia Imaging Fair in Beijing, China from Apr. 1-3. …no doubt many more things will appear in the run up to CES/PMA in Vegas this week.